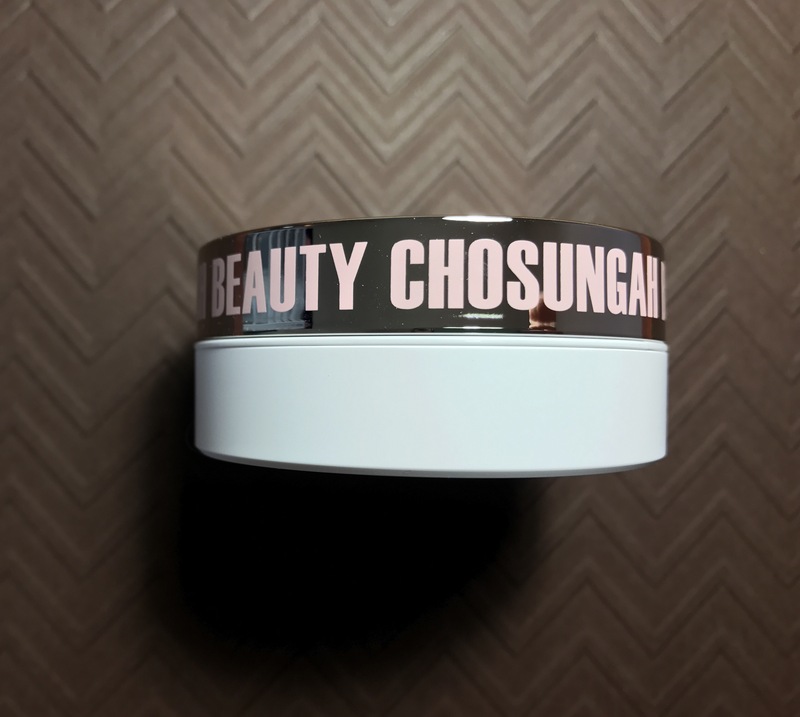 Chosungah22 is a Korean makeup brand. A few products are sold at Sephora (at the time so was this, but now you can buy it on their website). The 24hr Raybeam Cream ($43 CAD) is a gorgeous creamy glow (NO shimmer, NO glitter) – it literally is just a wet looking glow on your skin. You could use this in a few different ways. (1) Since it has a soft light pink hue to it, it can be used as a colour correcting product when applied before foundation. (2) when mixed into your foundation, it will add a soft all over ‘lit from within’ glow. (3) a spot highlighter (tops of the cheekbones, on top of the brows, cupids bow etc). The glow can be built up to whatever your desired intensity is. If I had to summarize this product into a few words, it would be: JLo Glow *mic drop*. The product comes in a flat circle packaging, which you need to push the top down (kinda like a button) to dispense the product out of a hole in the middle. I like this because its hygienic (as opposed to being an open jar where I have to continuously dip my finger in) and prevents the product from oxidizing from light, air and dust. The large surface area where this comes out of is big enough for me to go in and pick product directly up with my beauty blender or brush and swirl it around. It has a lid that screws tight so if some excess product is left on the disk, it doesn’t dry out quickly. The product comes with a puff, but I much prefer grabbing this on my beauty blender or on a brush to apply. I cant say enough good things about this product and i’m curious to try more out from the brand. If you’re someone who likes a highlight that is more of a glow than it is a shimmer or glitter, this is worth trying out. Korean makeup for the win! This is beauty swatched approved.